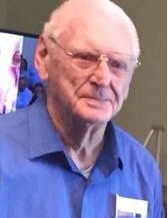 Paul Glen Snyder, age 93, formerly of Delta, passed away on Sunday morning, February 10, 2019 at the OhioHealth Mansfield Hospital in Mansfield, Ohio. He was born in Delta, Ohio on May 31, 1925 to the late George F. and Clara (Mills) Snyder. PFC Paul Snyder enlisted in 1945 and guarded the Tomb of the Unknown Soldier at Arlington National Cemetery. He received an honorable discharge in 1946. Paul attended and graduated from Olivet Nazarene College, where he met and married, Lois Kathleen Bailey in 1951. In additional to his parents, he was preceded in death by brothers, Donald, Franklin, Gerald, and Robert; sisters, Anna Mary Stoll, Dorothy Hill, Marguerite Lueke, and Ruth Griffin; and brothers in law, Earl Stoll, Alvin Hill, Julius Lueke and Walter Desgranges. Paul is survived by his sisters, Helen Desgranges and Betty Carter; sisters and brothers in law, Donna Snyder, Iona Snyder, Florence Snyder, Hal Griffen, and Robert Carter; his former wife, Kathleen; his five children, Karen Snyder, James (Vicki) Snyder, Susan Snyder, David (Claire) Snyder, and Rosalyn (Nick) Zografos; and his grandchildren Rebecca and Elizabeth (David and Claire's daughters). A memorial service for Paul will be held at 11:00 AM on Saturday, April 13, 2019 at Shiloh Christian Union Church, 2100 Co Rd 5, Delta, Ohio 43515 with a time of visitation prior to the service from 10:00 - 11:00 AM. Pastor Chuck Whitmire will be officiating. Arrangements have been entrusted to Barnes Funeral Chapel, 5825 St Hwy 109 in Delta.